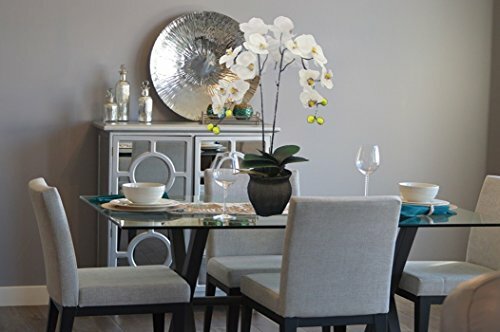 This Magnificent Triple Stem Phalaenopsis Plant makes a GORGEOUS centerpiece! Its Mulberry purple shades bring out a delicate yet chic feel. Placed in a shiny square white ceramic planter, to fit the decorum of many room options! A beautiful gift to bestow a hostess, workmate and friend with! Magnificent for all Year-Round Décor -Stunning GIFT! If you have any questions about this product by SilkenBloom, contact us by completing and submitting the form below. If you are looking for a specif part number, please include it with your message.